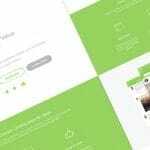 There are a lot of amazing free WordPress themes out there that it’s so hard to know which one is perfect for your site. A lot of people prefer WordPress over other platforms because it’s simple and easy to set up and you can use it for any kind of website, be it eCommerce, portfolio, personal, photography, etc. If you’re looking for a feature-rich free theme that also caters to mobile users, then you’ve come to the right place. Here’s a roundup of 10 free responsive WordPress themes for blog sites that you can use for your next project. 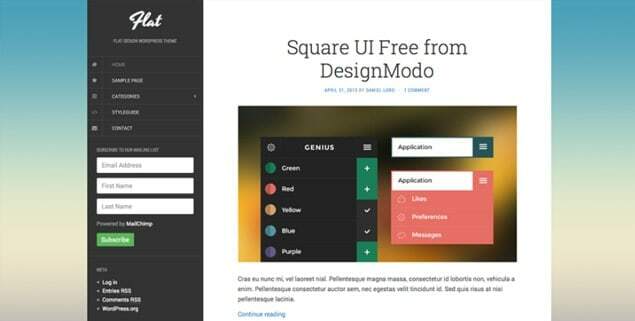 Despite being free, rest assured that these themes are well-designed, clean, and fully responsive. Meris is a well-designed free theme for WordPress that you can use for various types of website, including personal, business, food, travel, and more. It has a nice and clean homepage layout that allows you to add widgets. The theme features full-width sliders in the homepage and small optional featured sliders in the sidebar. Font Awesome icons are also available in the theme. Meris is built with the latest HTML5 and CSS3 technologies. It’s built on the awesome Twitter Bootstrap framework, and is fully responsive to boot. This free responsive WordPress theme is perfect for blog sites, portfolios, and corporate sites. It’s based on the KOPATHEME layout manager technique, giving you the flexibility to choose different layout options for every page on your site. This will come in handy when you want to experiment with visual hierarchy. You can define unlimited sidebar widget areas, as well. Mystile is a clean and lightweight free WooCommerce theme that you can use as-is or customize according to your needs. With this theme, creating a unique design for your blog is a breeze. It has a responsive design and comes bundled with options and different color schemes. This spacious free multi-purpose WordPress theme is designed and coded with love and care. You can use it not just for a blog site but also for your business, portfolio, or just about any type of site. It comes with 4 page layouts, 2 page templates, 4 blog display types, 13 widget areas, light and dark color skin, and more. 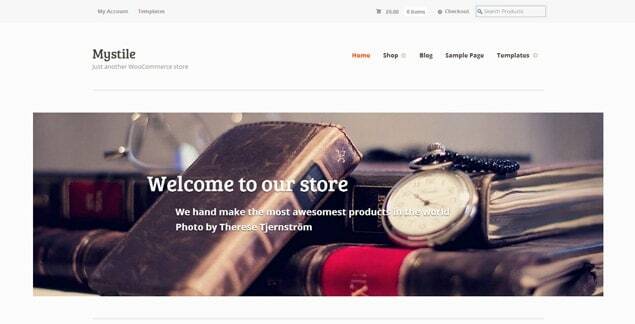 Moesia is a free responsive WordPress theme for blog sites. 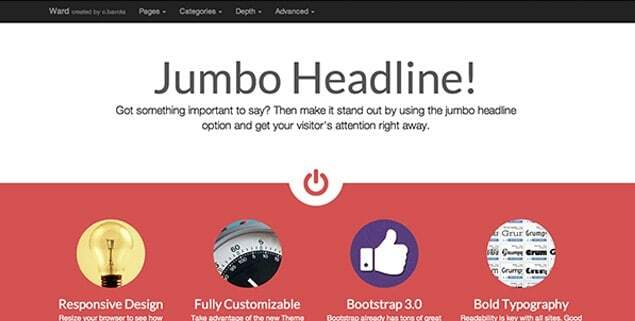 You can choose from 11 predefined blocks and build the homepage that best suits your blog. Each of the blocks can have a parallax background image and its own set of colors. The theme also has a selection of Google Fonts, 2 types of blog page layouts, awesome animations and effects, and a parallax header, just to name a few. This clean, lightweight, responsive, and retina-ready blog theme for WordPress supports parallax header image. The theme is translation-ready and you can even get free support from the theme developers on their support forum. 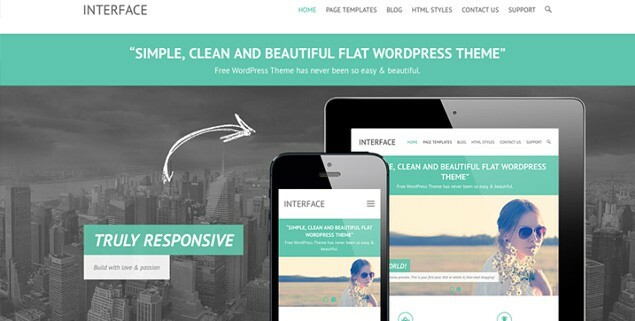 Flat is a free WordPress theme that’s perfectly suited for blogs. 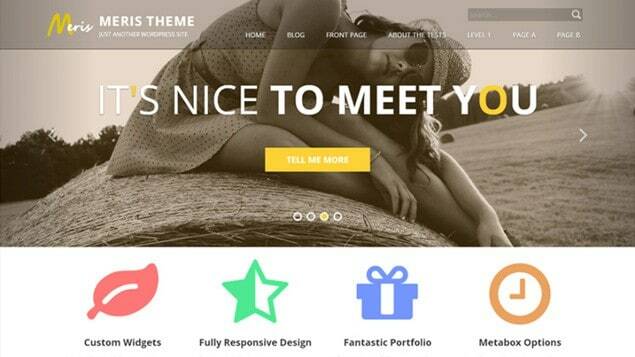 Designed by YoArts, this theme is both beautiful and creative – perfect for any kind of website. This free multi-purpose WordPress theme is perfect for any kind of blog or business website. It has a responsive layout and is retina-ready, with a powerful theme options panel that you can use to make the necessary changes without touching a single line of code. It also has a full-width, easy-to-use slider. You can easily add a logo to your blog or website and create a beautiful homepage with the built-in homepage layout. 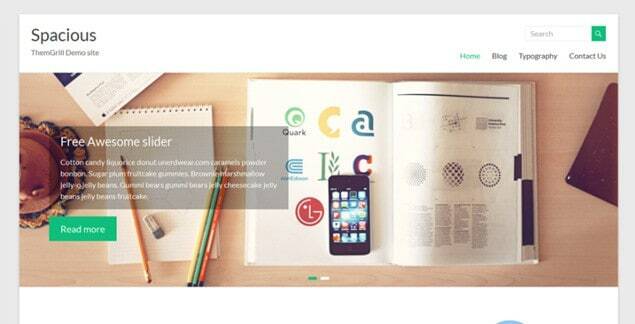 Interface is a clean and simple free WordPress theme for blog sites. It has a flat design, and is responsive and retina-ready. It’s a highly customizable theme with loads of cool theme options. Some of its key features include 2 site layouts (narrow and wide), 4 layouts for every page/post, 5 page templates, featured slider to highlight your page/post, 10 social icons, and more. Interface also support popular plugins such as Breadcrumb NavXT, WP-PageNavi, and Contact Form 7. Additionally, it’s translation ready. This free theme for WordPress has a unique and fully responsive design. It’s lightweight and is based on the Gridiculous HTML5 boilerplate. With the new Theme Options customizer, you can easily add your own background, page layouts, adjust the site width, and more. You can add a unique look to each of your sites with one of the theme’s 8 supported post formats: Image, Video, Status, Aside, Quote, Gallery, and Link. What’s more, it’s compatible with bbPress and BuddyPress. 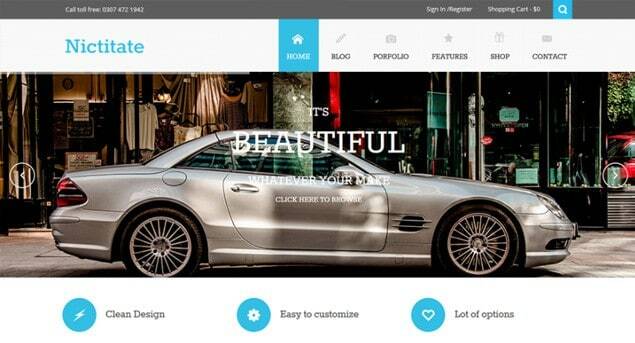 The theme is built using SASS, Compass and the Twitter Bootstrap framework. Great wordpress themes collection list.